You know those moments where you’re craving something sweet and you drive around only to get frustrated, give up, and go home? We know that feeling all too well – that’s why we’ve created a guide for the sweet tooths out there! 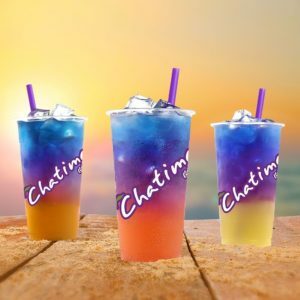 Most people are familiar with the Chatime brand for their bubble tea. However, they also carry a lineup of drinks called the Butterfly Pea Series. What makes the drink blue? The Butterfly Pea Flower, which is known for its numerous health benefits including increasing blood circulation, helping with insomnia, and promoting skin health. Nutella has to be one of the best things ever invented for human consumption. But what would make it even better? A Nutella Pizza from Famoso in South Edmonton Common! 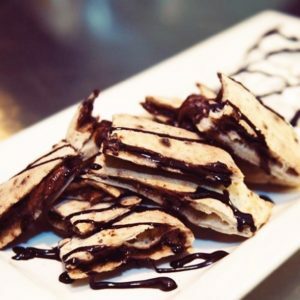 The Nutella Pizza is done calzone-style, baked and served with whipped cream. Perfect for a treat after dinner or an afternoon pick-me-up. Sometimes, you will crave several things at once. 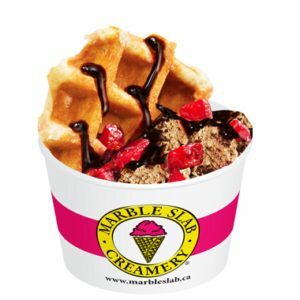 Indecisive sweet tooths will love the Belgian Waffle Delight at Marble Slab in South Edmonton Common. On one side, you have a warm Belgian Waffle made fresh in-store, and on the other side, you get your choice of cool gourmet ice cream. The ultimate chocolate lover’s dream. 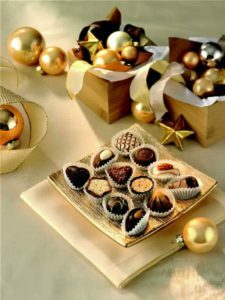 Lindt in South Edmonton Common is your go-to for truffles, pralines, bars and chocolate gift boxes! One of the best parts about visiting Lindt is that you get a sample of their chocolates when you visit. Who doesn’t love free samples? !